This is not a threat that the Avengers encountered. In fact, this is a positive force that event managers can use as a guideline. In the event management universe, today is the age of ULTRON – a confluence of different elements that will wipe out other promotion platforms from the top of the pedestal. This age of ULTRON elevates event management as the most important marketing tool in the company’s growth. So fasten your seat belt, you do not need Iron Man, Captain America, Hulk, Black Widow, Mighty Thor, Quick Silver, Hawk Eye and Nick Fury’s aid in order to achieve the potential of event management. The power resides in you and understanding the Age of ULTRON. This is not only applicable to the apps being created every second by tech companies. The User Experience (UX) is very relevant to the event management industry. In fact, the event is the best platform for providing the best experience. Brands use events to give the consumers an experience that they can never forget. This enables brands to make an intimate connection with their targeted consumers. Events will always be here to stay for one reason it is live! Live means that we humans need to gather in one venue and this gathering creates magic. However, the magic can only be achieved if we know how to respect the power of Live Events. If we want to harness the power of a live event, we must create the right stimulus that will engage the audience. Think about the marathons that use color explosions, this is a type of live events that are very famous in all corners of the world giving unforgettable experience of participating health enthusiasts. One caveat, even if your event is live there is a possibility that it can be dull or boring. The thing is you must study your audience and crack your brains in order to hatch a new concept that will push the boundaries of existing live events. Pushing the boundaries of your live events is the only way to continuously provide the intended “closeness” you are aspiring to create with your target audience. As an old adage says, “Being Alive does not mean Living”. This is the same challenge that you must go against and come out victorious to be a successful event management company. The explosion of event apps is great news to us, event organizers and managers, it only means we have a tool to create possibilities. We must always try to incorporate available technology in our events. Use these technologies to make things happen, especially if what we are creating is a novelty that will create an upheaval in how events are done. I always feel the excitement of new technologies splashing in front of my eyes, mesmerizing me and other audience, it is like the event aided by technology becoming a hand that holds me, taking me to a an unknown world, giving me new emotions and discoveries. However, too much technology can also ruin the experience or make the event cold and heartless. Again, proper application and balancing act are required. I respect your judgment as an event manager on where the balance resides in the spectrum of your events. Never rest on a successful concept. Event Managers or Organizers must be revolutionary. They must always wage war against tradition and established rules. Yes, I am espousing subversion on how we treat our events. This is the only way to make quantum leaps in how events are being done and executed. I am business event organizer, I try to look for concepts that are being done in other industries that can be applied or introduced to events. Push the envelope, get out of the comfort zone, and create a revolution in the event universe, and you will see that it will be an industry effective, and bright as ever! Omni-channel is the seamless experience of customers with online and offline. This is still on the fledgling stage in the exhibitions, conferences, corporate events, training events, Roadshows and activations. Hopefully, more and more event managers and organizers will be able to craft best practices in this new concept. The impact of Omni-channel in the experience of the target audience or visitors will be huge. Omni-channel will assure further viability of events. The data generated in the online can further enhance the actual event, thanks to Omni-channel. An example of this in the events is at a conference event, using social media, website, landing page, email broadcast potential participants can register, and get their tickets or QR code. They can download an app where the speakers and delegates, programs and activities of the conferences are listed. From time to time, they receive a tweet update prior the events because of the app. They can set-up meetings with other delegates. At the actual event, then just present the QR code or bar code and automatic I.D. is produced, no need for them to fall in line and wait for hours just to get their kits. In addition, their app or I.D. cards have loyalty promos they can use in nearby stores. At the end of the conference, the power point slides of the speakers are uploaded and contained in the app they downloaded. The cost of this seamless experience is still big for a lot of event managers. Eventually, however the cost goes down and Omni-channel will be a regular facet of events. The more specific the audience, the more customized the experience. In the world of fragmentation, niching takes over for good. The mass is dead, what is standing after the dust has settled are niche events more focused, more in tune with the needs of a particular tribe. This is the new order of things, a new order borne out of the need to go back to the basics. The basic means personalized events created that caters to a special group. So much for a bigger audience and nameless guests, welcome smaller audience that you know like the lines in the palm of your hands. 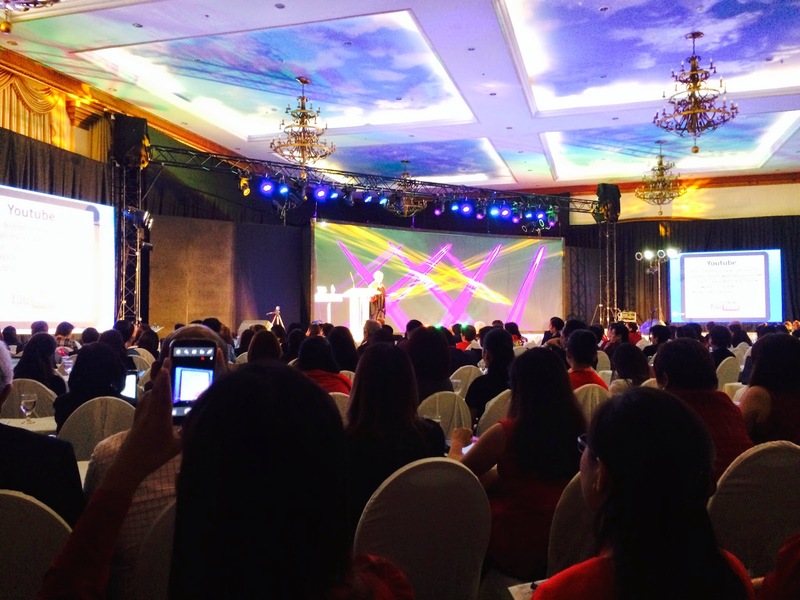 So if you are part of the Avengers of the event management industry, it is time to push forward the Age of ULTRON. The earth badly needs your event management skills; it will not tolerate inertia because of repetitive events that put us all to sleep. Good luck and grab the piece of the event management universe that is rightfully yours.